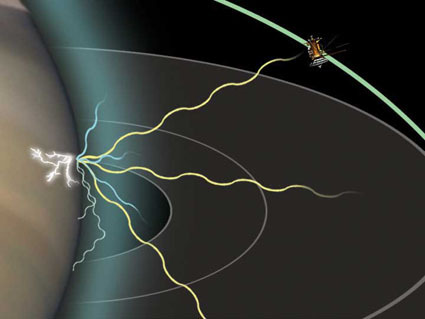 NASA's Cassini spacecraft has seen an electrical storm larger than the continental United States electric storms on Saturn, with flashes of lightning 1,000 times stronger than on Earth. A thunderstorm which stretches 2175 miles (3500 kilometers) from north to south and emit radio sound the same as that dihasisilkan on earth. appropriate name,. 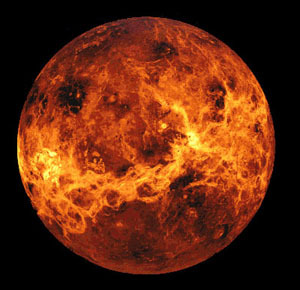 Venus is the hottest place in our solar system. with a temperature around 750 Kelvin and a pressure 90 times on this earth will make every visitor will be crushed (crush). 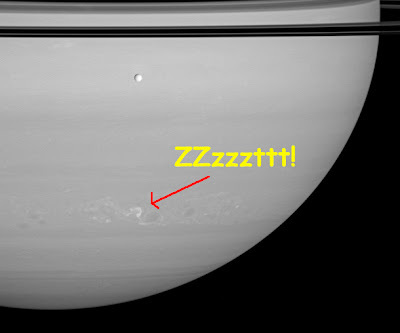 Scientists say that this is due to excessive greenhouse effect of cloud cover sulfate venus ceiling. 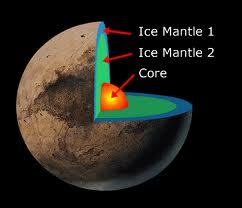 therefore be a major greenhouse effect and caused this. 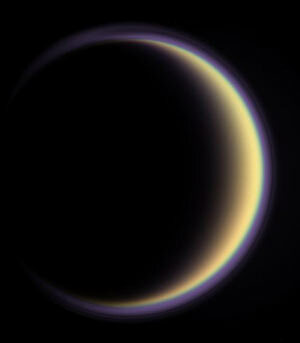 Cassini Huygens spacecraft found strong evidence of liquid methane rain occurred in his Saturn "Titan". and probably in the "water" in the month is also due to methane in Titan's cold temperatures (94 degrees Kelvin)-water will be locked up as ice. In the summer of 2001, at least 50 tonnes of red particles fallen in Kerala, India continues for nearly two months with rain. 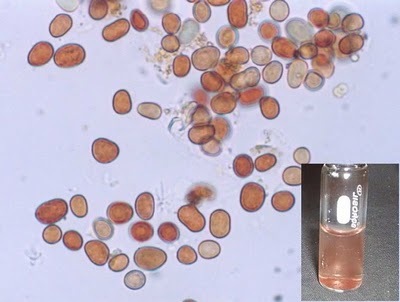 It turns out this rusty red objects, including particles of dust storms and biological cells which come from outer space creatures (a type of bacteria that mksdnya). In the April edition of the journal Astrophysics and Space Science, scientists from Mahatma Gandhi University reported that the particles have the appearance of biological cells, can reproduce at temperatures sizzle, and have nothing in common with dust particles. 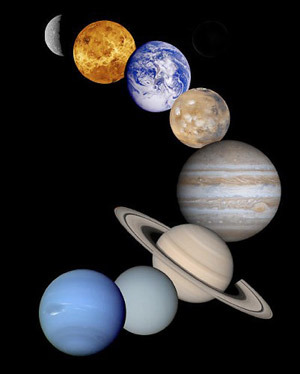 Pluto is now not in regard to the nine planets in this solar system has the fact that sunlight on earth can compare plto at about 1:1000 years and cause the planet (?) 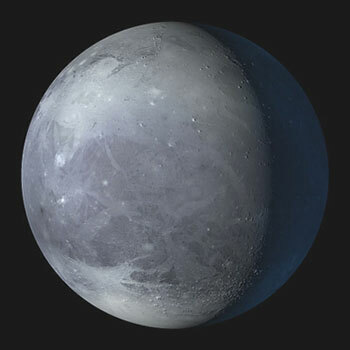 is composed of ice consisting of frozen nitrogen, methane and carbon dioxide with temperatures ranging from minus 387 to minus 369 Fahrenheit (40-50 degrees Kelvin). 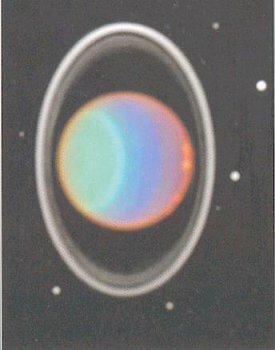 The temperature on Uranus can reach below minus 300 degrees Fahrenheit (89 Kelvin). Uranus has a rotation of 17 hours but the revolution that led to season reaches 84 years (extreme) would be the old switch. Sometimes, it can be so cold that methane in the atmosphere condenses into clouds of methane crystals. 2 Spot circle above the planet Jupiter is a storm that was raging on the planet. the size of the storm alone we can know. Which is called the great big red spo, t storm more than twice the width of the Earth with a 350-mph ((563 kph) winds and a small (storms) in the call red.Jr. Although not completely understood, scientists think the red color correlated with the intensity of the storm-winds and generates a chemical compound from under the clouds and lift them to high ground so as to produce ultraviolet dtambah sianr brick hue. Rain Iron called "failed stars," brown dwarf planet is a newly discovered planet our solar set (one of three dwarf planets in the news Wherever found it loh gan: d), brown color indicates that the planet has ferum elements (iron) which high (CMIIW?). 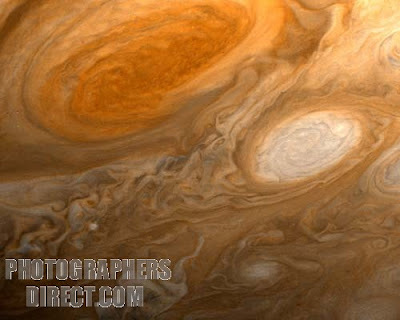 This planet has a storm like I had inside Jupiter and menghepaskan BSI "into its surface. brown dwarf is getting a cold from time to time, the gas molecules condense into liquid iron-iron clouds and rain. With further cooling, a large storm swept away the clouds, let the bright infrared light to escape into space. If you do not brush your teeth, you can die!